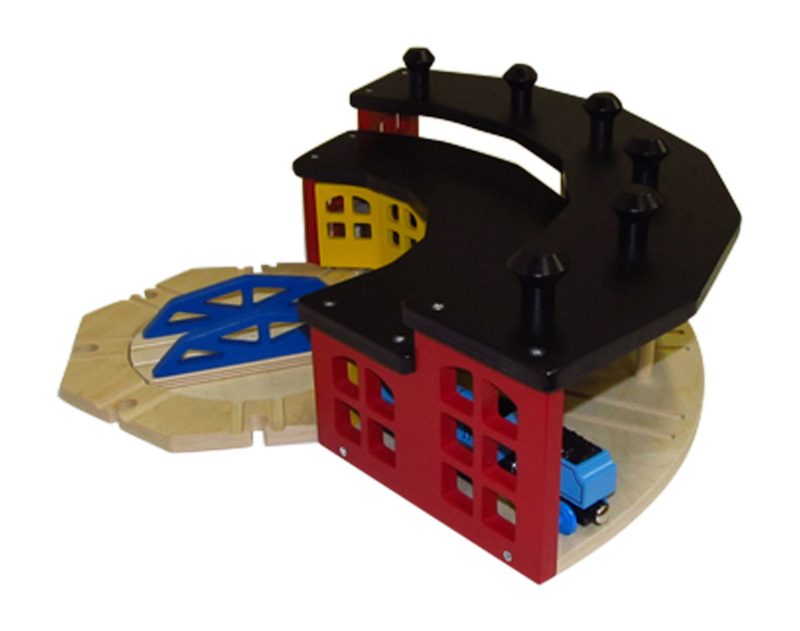 The Choo Choo Track and Toy Co. has made the only roundhouse on the market with 6 doors! A great destination for your wooden trains. Our roundhouse is all wood, no plastic parts! Realistic design looks more like authentic roundhouses. 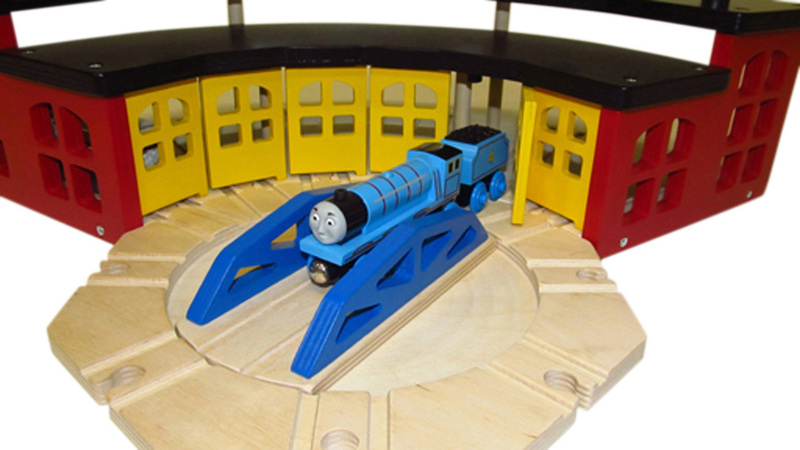 Similar in size to Thomas wooden railway roundhouse and can be used in any Thomas layout featuring their roundhouse. Fits 12 single wooden train engines or 6 bigger ones! SAVE!! Buy our Super Six Roundhouse and Turntable together and save some bucks!